Choose Roane Medical Center for your diagnostic imaging needs! You have a choice in your healthcare. Tell your physician, you choose Roane Medical Center! Roane Medical Center offers a comprehensive range of imaging services and state-of-the-art technology. Our technical staff, along with the radiologists of Vista Radiology, are devoted to meeting the needs of the community and delivering excellent patient care. Computed tomography, also known as CT or CAT (computerized axial tomography) scans, combine the power of X-rays and computers with minimal radiation. these cross-sectional images of the body enable doctors to see a patient’s internal anatomy without surgery. Each patient will need to bring with them a complete written list of medications they are currently taking. Arrive 15 minutes prior to your scheduled appointment to register. Inform technologist or RN if there is a possibility you are pregnant. Exam requires the patient to drink oral contrast, which is a liquid that makes the stomach, small bowel and colon more visible. The patient should have no food or drink for 4 hours prior to exam. Patients receiving oral contrast will drink the contrast and then wait a minimum of 60 minutes before the scan is performed. 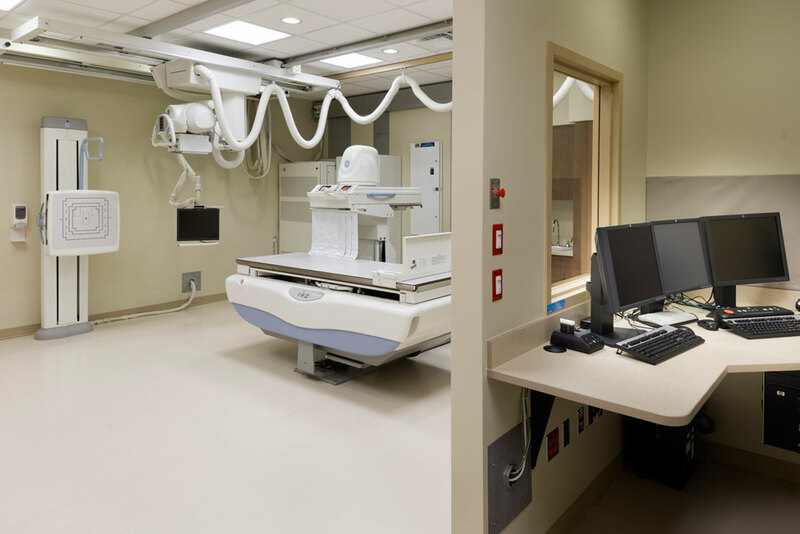 Roane Medical Center offers full-service diagnostic heart catheterization services through our fully-digital Toshiba Cath Lab. Cardiac catheterization is a medical procedure used to diagnose and treat some heart conditions. A long, thin, flexible tube called a catheter is put into a blood vessel. Through the catheter, your doctor can do diagnostic tests and treatments on your heart. Interventional Radiology is a subspecialty of radiology in which minimally invasive procedures are performed using image guidance. The concept behind IR is to diagnose or treat pathology with the most minimally invasive techniques possible. IR procedures can reduce infection rates, recovery times, and shorten hospital stays. As a result, many IR procedures are performed with conscious sedation. 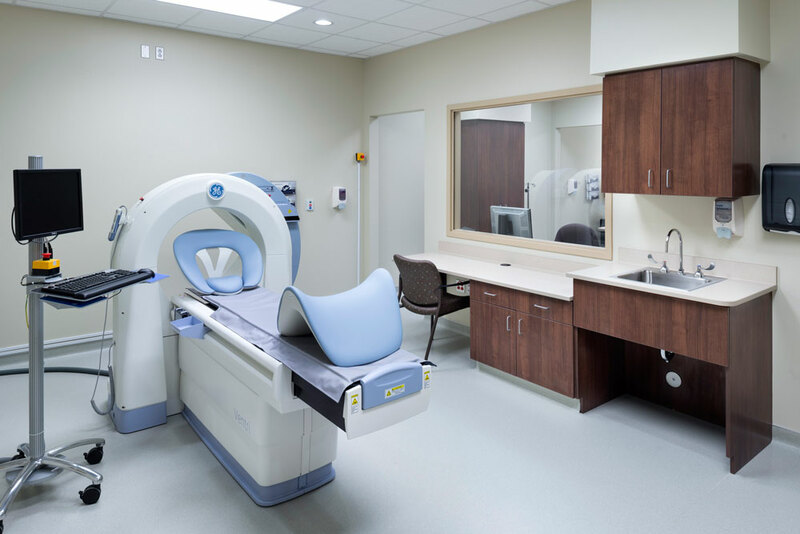 Magnetic Resonance Imaging (MRI) is a noninvasive medical test that uses a powerful magnetic field, and radio frequency waves to produce detailed pictures of the body. No radiation is used. Because there’s no radiation exposure to the patient, MRI has become popular as an alternative diagnostic tool. All technologists are registered with the American Registry of Radiologic Technologists (ARRT) and receive extensive training in their respective areas. Note: If you are claustrophobic, please discuss with your physician. No oral sedative will be given by this facility. IV sedation for extreme claustrophobia must be scheduled by a physician. 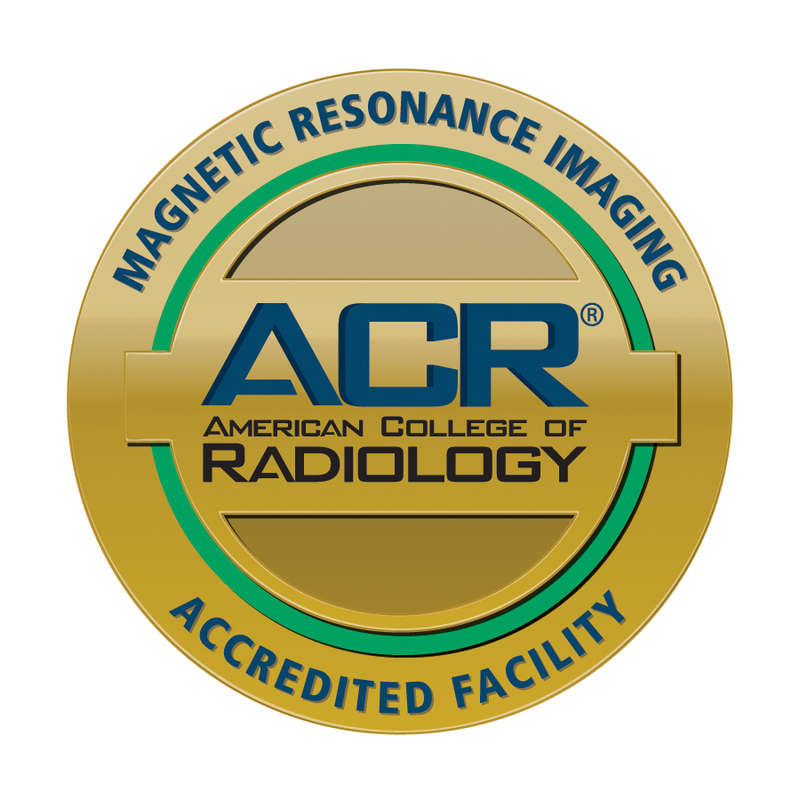 Our MRI has been accredited by the American College of Radiology. Read more about our accreditation here. Nuclear Medicine uses radioactive material to access the function of organs or systems within the body. This tool often spots abnormalities early in a disease’s progression. It also provides a way to gather information that otherwise would be unavailable or require surgery or more expensive diagnostic tests. Technologists are ARRT and CNMT registered in Nuclear Medicine. 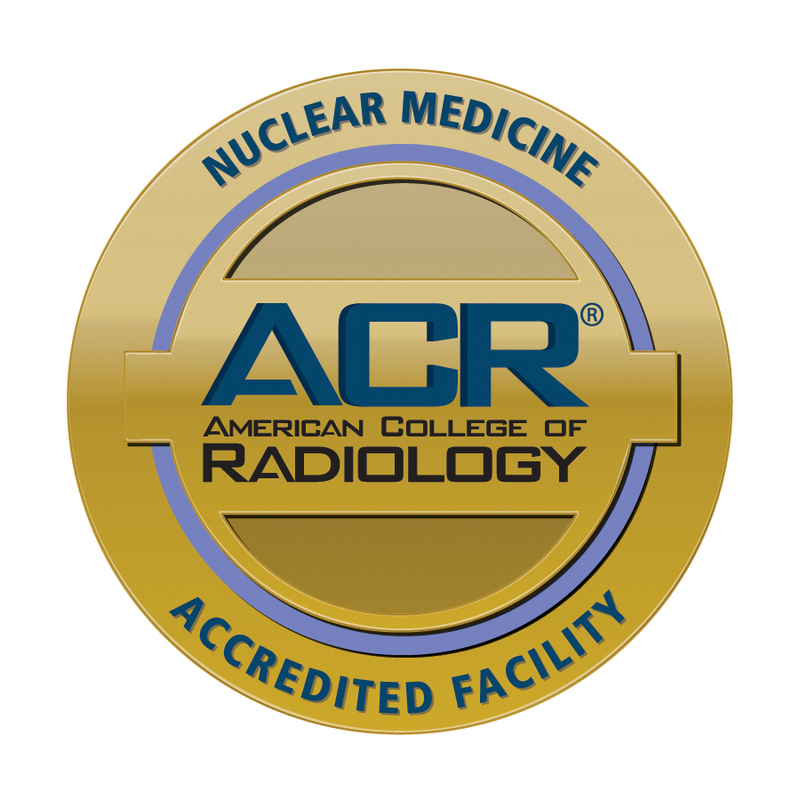 Our Nuclear Medicine Department has been accredited by the American College of Radiology. Read more about our accreditation here. Measure thyroid for overactive or underactive functioning. Patient will be called the day before appointment. Technologist will inform patient of any preparation needed, estimated exam duration, and will address any questions the patient may have. When the patient arrives to the Nuclear Medicine department, they will be asked about their medical history by a nurse or technologist. If lab work is needed, it will be completed prior to the exam. Nuclear medicine uses small quantities of radioactive materials, called isotopes, that are targeted to specific organ systems or tissues within the body. These can be introduced into the body in different ways. Depending on the type of nuclear medicine exam you are undergoing, the radiotracer is either injected into a vein, which is most common, but can also be swallowed or inhaled as a gas and eventually accumulates in the organ or area of your body being examined. Note: It can take anywhere from several seconds to several days for the radiotracer to travel through your body and accumulate in the organ or area being studied. As a result, imaging may be done immediately, a few hours later, or even several days after you have received the radioactive material. Ultrasound imaging, also called sonography, uses high-frequency sound waves to obtain images of the inside of the body. Benefits of ultrasound include more comprehensive and reliable exam data, faster tests and improved patient comfort. Ultrasound exams do not use radiation. 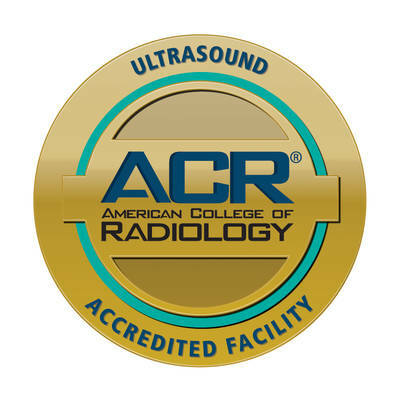 Our Ultrasound Department has been accredited by the American College of Radiology. Ultrasound Abdomen — The patient should have no food or drink for 8 hours prior to exam. Ultrasound Pelvis –Full bladder is required for this exam. Patient should drink 40 ounces of fluids prior to exam. Roane Medical Center provides mammography screenings and breast ultrasounds to detect changes in breast tissue that are difficult to feel by hand. Our mammography unit is digital, using the latest mammogram technology to obtain clearer images for proper diagnosis. The user-friendly design of the new equipment means greater comfort for women while receiving breast cancer screenings and diagnosis. The new technology cuts scan time in half, allowing patients to be seen more quickly, and it provides enhanced images for the physicians and technologists at Roane Medical Center. 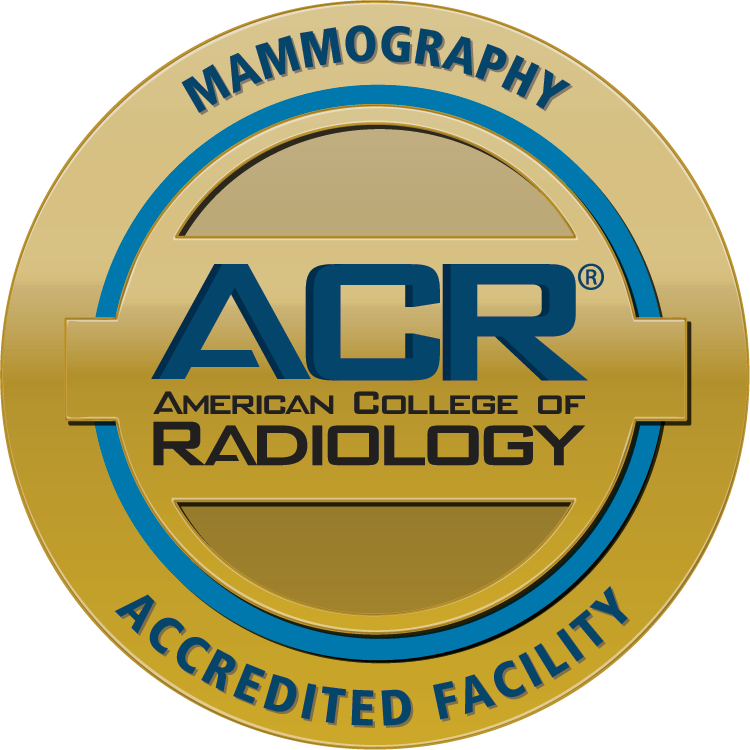 Our Digital Mammography Unit is accredited by the American College of Radiology and certified by the Food and Drug Administration. Check out our most recent accreditation here. If cancer cells are detected, the physician may choose to perform stereotactic biopsies. A stereotactic breast biopsy requires a specialized mammography machine that helps guide the radiologist’s instruments to the abnormal growth site. Advanced bone densitometer equipment is available at Roane Medical Center for detection of subtle bone changes which might indicate the beginnings of osteoporosis. The diagnostic information is faster and more accurate than older procedures. This comes at a time when medical specialists are reporting new treatments that may help patients regenerate bone mass – and partially reverse the effects of osteoporosis. In addition, our technology can help detect advanced hip and vertebral problems.